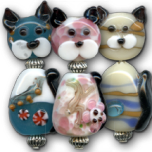 Customizable merchandise featuring cat-themed designs, photos or breed-specific designs for cat owners and cat lovers. They make funny and special gifts. 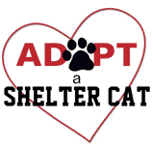 Choose from an assortment of products featuring digital color photographs of different types of shelter cats and kittens from Frederick County Animal Control, Maryland. 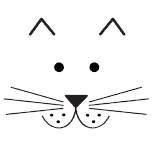 Choose from 100 cat breeds! 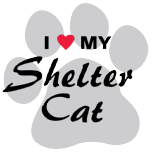 All proceeds from sales are donated to support shelter animals. Buy the items as is or customize the design to your liking. Make a gift even more personal by adding a name. Change the font or edit the text. Change the background or text color. 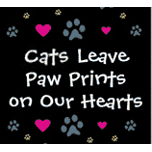 Add your own pet's photo. Simply click through to the item and click the “Customize It” button on any product page.